"Mountain Wood". Corner 2 bedroom unit on the ground level. Bright unit with lots of windows. Nicely updated kitchen, bathroom and carpeting. 8X8 sundeck with privacy. In suite laundry and storage. One parking underground. Pets and rentals allowed. 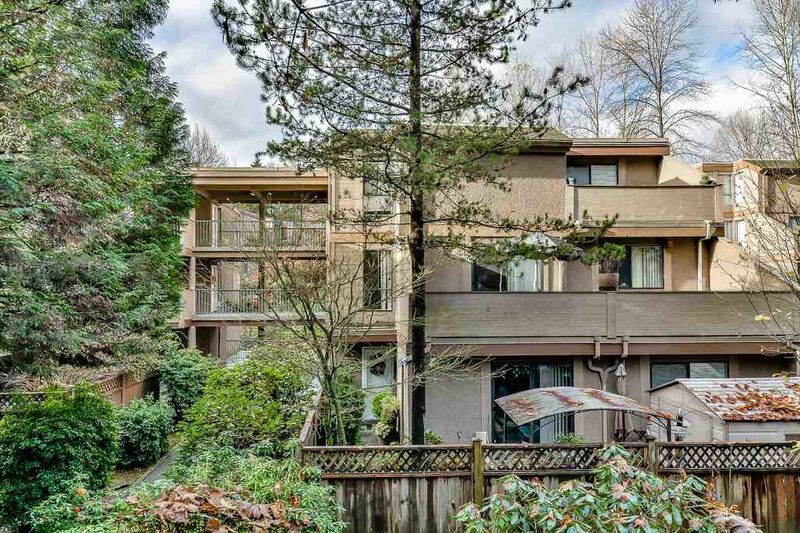 Walking distance to both levels of schools (Stoney Creek elementary and Burnaby Mountain secondary) Lougheed mall and skytrain. Currently tenanted at $1250.00 per month plus utilities. All measurements are approximate.